While the legalities of their U.S stance are ambiguous, Ignition Casino is trusted by players, having been in operation since the year 2000 without major issue. This poker room is the largest U.S network, and the third largest globally. 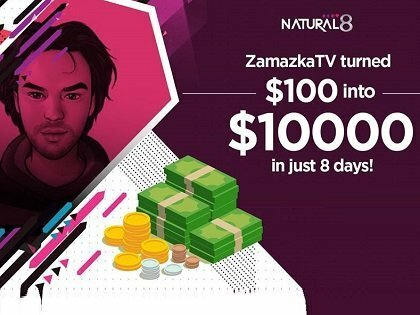 The industry average is met here with a sturdy 100% bonus on deposits for new players signing up, with the offer in effect for amounts up to $1,000. Players have 60 days to clear the bonus, with pieces of the bonus being released as VIP points are earned for real money play. Ignition Casino is offering an additional $1000 Casino Welcome Bonus subject to a 25X playthrough requirement before the deposit. There is also a bonus in operation for players who make a royal flush whilst at the tables. Players who manage to make the holy grail of poker hands will find themselves with a bonus of 50 times the amount of the big blind. This applies up to an amount of $200. Only Texas Holdem cash games apply. If a player loose a pot holding aces full of kings or better, he can collect a Bad Beat Bonus of 100X the big blind up to $1,000. You can also trade the points that you earn during real money play for bonuses and tournament tickets, giving you every chance of building a comfortable bankroll while you play. Exchange rate: 200 Poker Points = $1*. Previously owned by Bovada, Ignition Casino is the largest U.S poker network, and according to Pokerscout the third largest globally ! The games at Ignition Casino are heavily geared towards making amateurs feel welcome. The changes include all cash table players being anonymous while they play, and that anonymity removes the option of tracking software too. 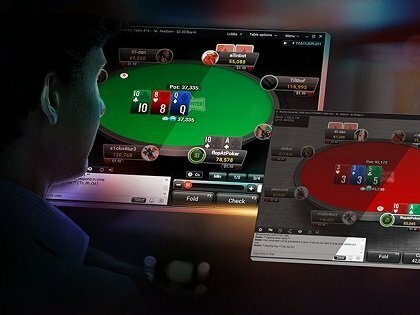 Multi tabling is also restricted to 4 tables. Generally speaking, the software also functions well and has received plenty of praise in the past. Ignition Casino is accepting US Players, meaning that the player traffic through the site is quite strong, and tables are running consistently across a variety of stakes both in No Limit Hold’em and Pot Limit Omaha. Ignition Casino is also the best option available on the market if you are interested in Fixed Limit Hold’em. 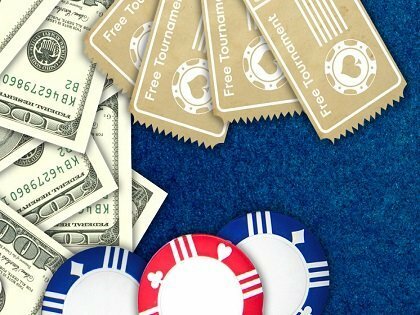 You will find many tournaments running at Ignition Casino with a good range of buy ins covered, and the player pool is relatively soft, as you might expect from a poker room catering to U.S Players. A total of 2 million dollars are guaranteed in tournaments every week. The flagship tournament of Ignition Casino is the $100,000 Guaranteed. Ignition is a good choice for US players and Australian Players as the Cash Games traffic is high and the opposition is soft. The poker room has also one of the best MTT offer on the market ! Deposits can be made here via two key methods. The first is credit cards, and the second is Bitcoin. The minimum deposit amount is $20 for both options. Withdrawals are completed via Bitcoin, or by cheque, with the method matching your deposit. The withdrawal limits for both options are $100 (Mini)­ -$3000 (max). When you look at the way Full Tilt and PokerStars were affected by the DOJ, you can never say with absolute certainly that nothing can go wrong when a non regulated poker room is operating in the U.S, but you can be sure that Ignition Casino operate with integrity. Their software has been tested by gaming boards and is properly certified. They also have a team dedicated to spotting suspicious behaviour, as all good poker rooms do.